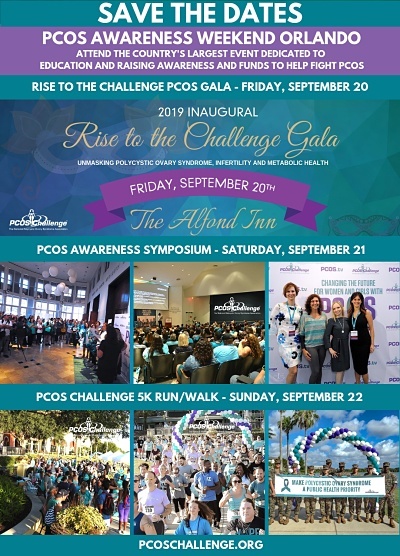 PCOS Challenge offers support resources, workshops, television and radio shows, and other educational content from leading PCOS health and wellness experts on Polycystic Ovary Syndrome. Unfortunately, the file or page you requested could not be found. The link you followed may be broken or expired. You may search our website for the content you are looking for using the search box or links below. Millions of women with Polycystic Ovary Syndrome are going undiagnosed, untreated and unsupported. Help make PCOS a public health priority. Nearly two-thirds of our annual budget comes from individual donors like you. Every gift and every dollar amount makes a difference. Your gift helps provide invaluable education and support programs for women with PCOS. Please Donate Now! Join 45,000 women in the fight against PCOS on the PCOSChallenge.com Support Network Site now. Connect with other women with PCOS and access the support and resources you need to live a happier and healthier life. The PCOS Challenge radio show is a weekly broadcast hosted by Sasha Ottey who interviews leading experts on the best PCOS diet, weight loss, infertility, and treatment solutions. The PCOS Challenge Radio Show can be downloaded via iTunes, Tivo, and RSS Feed. The PCOS Challenge magazine is a valuable companion to the PCOSChallenge.org and PCOSChallenge.com websites. You will receive information from leading experts on the best diet, weight loss, infertility, and treatment solutions to better manage Polycystic Ovary Syndrome. PCOS Challenge is a groundbreaking television series that follows ten women with PCOS as they have their lives transformed by naturopathic and allopathic medical experts and three coaches — registered dietitian Rebecca Mohning, fitness trainer Josef Brandenburg, and clinical psychologist Ruth Wittersgreen. The show addresses common PCOS symptoms and related conditions including infertility, diabetes, obesity, heart disease, anxiety and depression, and hirsutism. Order PCOS Challenge Expert Series workshops including: Nutrition Essentials for Polycystic Ovary Syndrome; Eating Disorders and PCOS; Living Happier and Healthier with PCOS; Hair Removal Solutions for Hirsute Women with PCOS; and The Natural Solution to Overcoming PCOS. Receive answers to the most commonly asked questions about Polycystic Ovary Syndrome. Learn more aboout PCOS Challenge, Inc. and ways the you can support the fight against Polycystic Ovary Syndrome. Schedule an interview or appearance with Sasha Ottey, Founder and Executive Director of PCOS Challenge, Inc. Download Sasha’s media interview sheet with her biography, sample topics and questions.